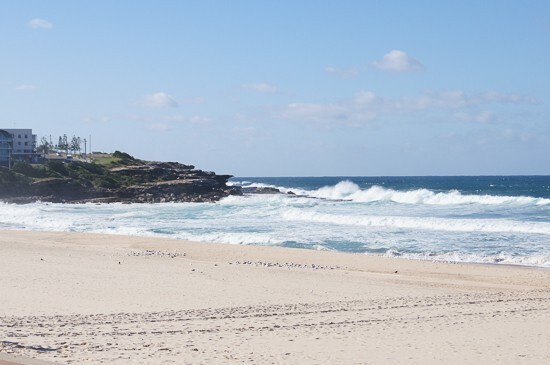 Maroubra is a very well known surf beach, the name means ‘like thunder’ and when you’re there, you can hear just why. 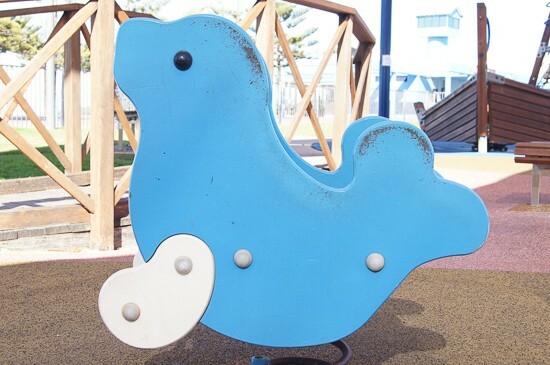 So the beach isn’t the best for young children, however the excellent fenced playground is really good, ideal for children aged five and under. 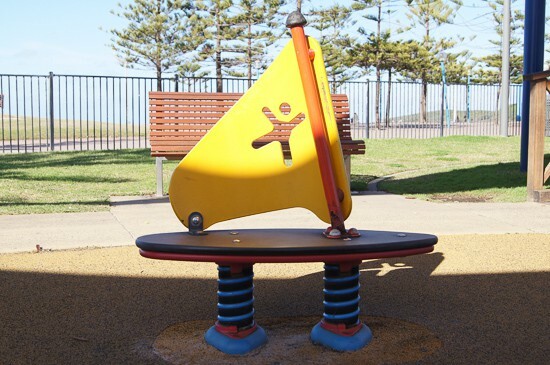 Pirate dressups are the ideal look for the nautical theme of this terrific playground. There are two large ship play structures and most of the other equipment has a wood and rope ‘rigging’ feel to it. The playground has a good rubber softfall and a lovely open feel. 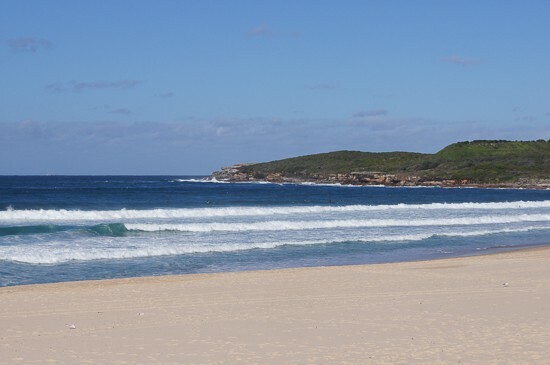 NB Maroubra beach, at 1km the longest of the Eastern Suburbs beaches, is characterised by strong rips. There are two Surf Life Saving Clubs on the beach, however, this is NOT a great beach for young kids. 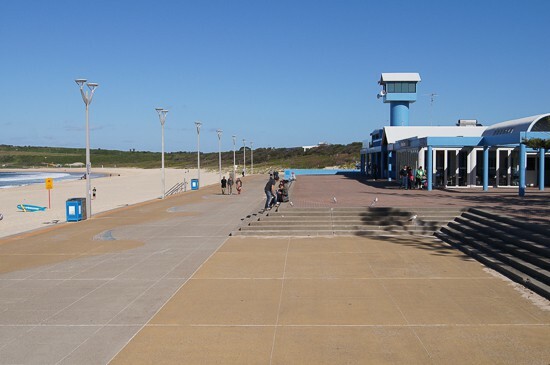 There is no rock pool on the beach itself but further north at Jack Vanny Memorial park is Mahon Pool. You can see lots of photos of that at Google Images: I haven’t visited – YET! 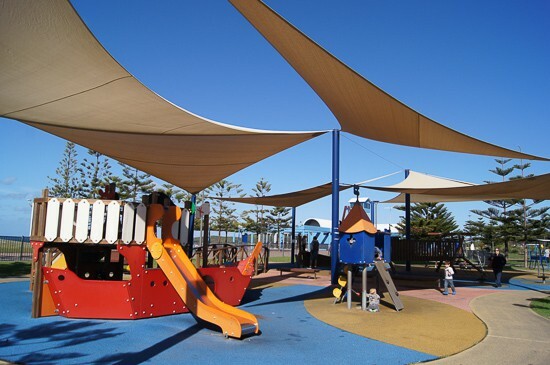 Shade: Huge shadecloth sails give heaps of shade. Mum’s report: Brisk sea breezes help to clear the heads of sleep-deprived, toddler-befuddled parents. Extra: Skate park for older children is a short stroll away. Website here. 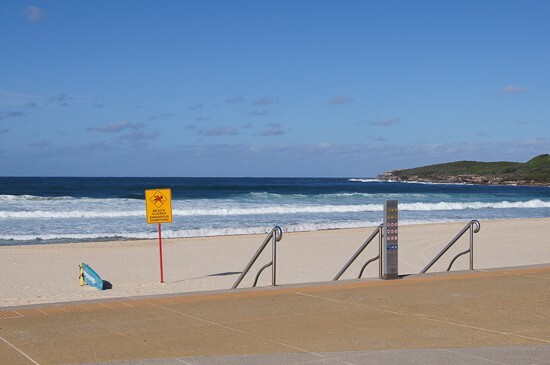 Maroubra promenade is lovely to stroll or bike along. Parking: Free carpark beside playground. Read about more fenced Eastern Suburbs playground here. 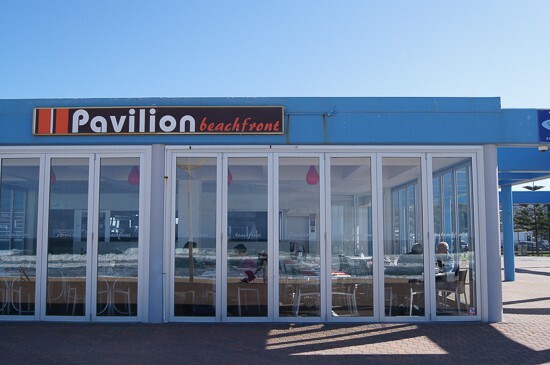 Here’s the cafe by the Surf Life Saving Club, by toilets too, very close to playground. The spacious promenade on a winter’s day. Looks a bit wild, doesn’t it? 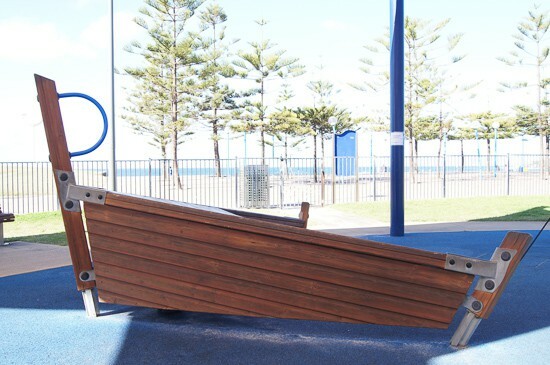 Click here to find more great Eastern Suburbs fenced playgrounds. 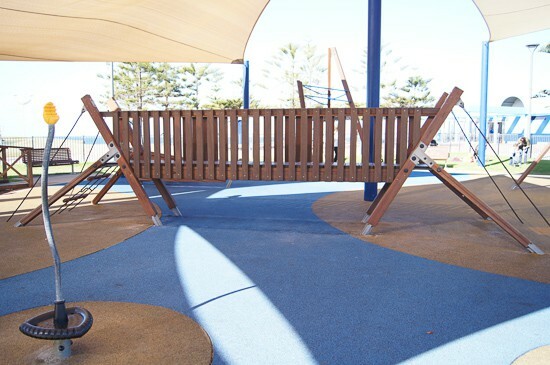 Click here to read about the best fenced playgrounds in Sydney’s North. Have you visited a great playground recently? 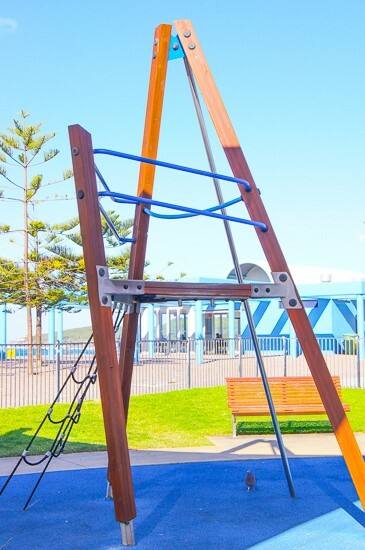 Oh, we love Maroubra beach playground! We’ve stopped by there on the way to swimming lessons. There’s also a great cafe across the road. It’s been there for donkey’s years but makes a great breakfast – eggs, bacon, sausages…the works! Good morning Grace, yes, it’s great isn’t it. I didn’t even notice the cafe, nothing like local expertise.